breakfast buffet wonderful. very friendly staff. rooms clean but basic, but that is reflected in the price. The sea view rooms were amazing,and for just a little extra euro we could upgrade the room views and balcony size,very nice place,will be back. The swimming pool is the high light of the place, looking over the sea, really beautiful! I liked the location and the size of the room! Also loved the set up of the chairs outside of the pool! Great pool deck! large pool area, friendly staff, big room size, cleanliness. The breakfast was nice, staff were professional, we appreciated English channels on the TV a lot. Location is excellent - everything is close at hand. Beautiful secluded beach (no sand) just down the steps from hotel - my favourite! You can make your holiday as quiet or lively as you want! Wonderful view,friendly stuff,lovely,clean rooms.Great breakfast. Breakfast was good although it tended to be the same each day. Service was good in restaurant. The outdoor pool facilities were good and the balconies were a good size with table and chairs. The shower was the best thing in the room. I really liked staying in TRH Jardin del Mar. Really good value for money, breakfast was really tasty and there was a variety of choice. 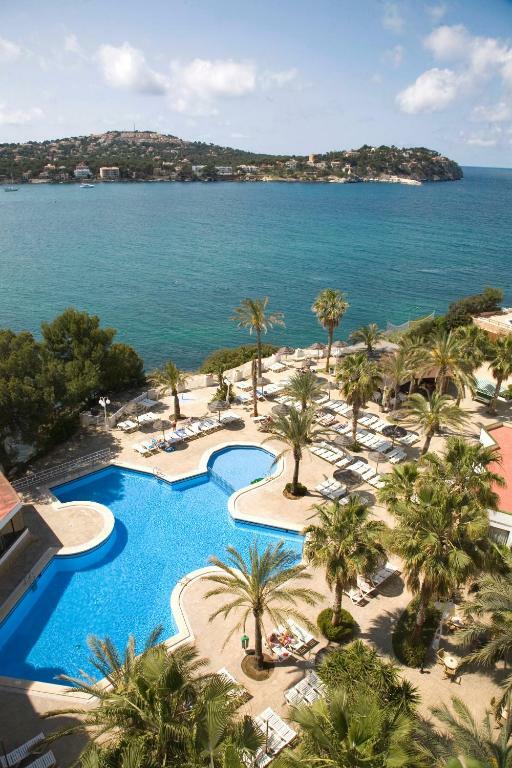 Beach is located 2 minutes walking from the hotel and you can see it from the balcony. It is not a modern, super luxury hotel, but for this price is definitely more than I was expecting. TRH Jardín Del Mar This rating is a reflection of how the property compares to the industry standard when it comes to price, facilities and services available. It's based on a self-evaluation by the property. Use this rating to help choose your stay! 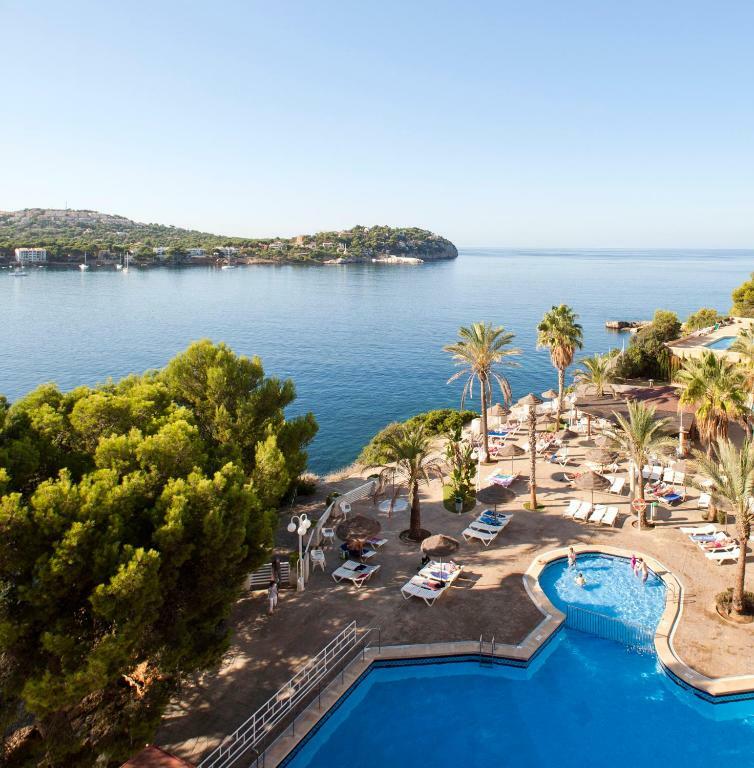 Overlooking Santa Ponsa Bay in south-western Mallorca, Jardín del Mar offers air-conditioned apartments with a private balcony. 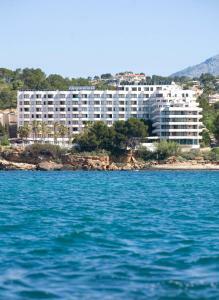 It has an outdoor pool with a sun terrace offering fantastic views. 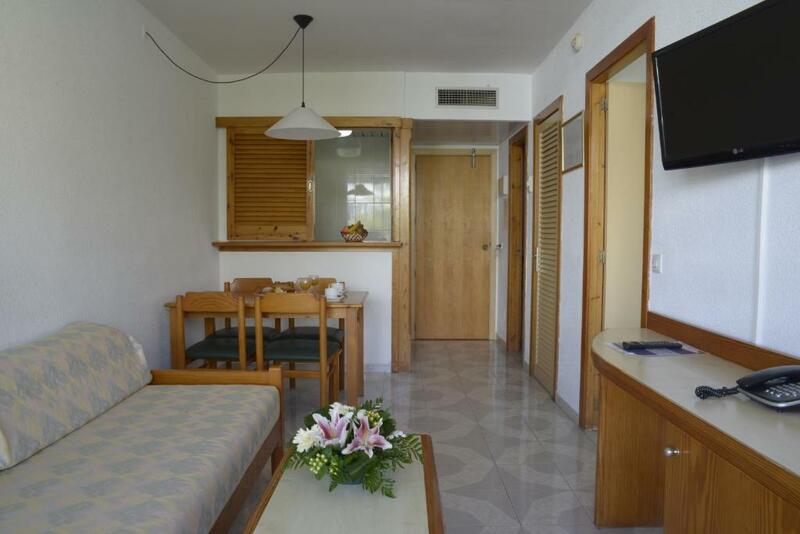 The apartments and rooms at TRH Jardín del Mar have a kitchenette with a fridge. They have tiled floors and are equipped with satellite TV. The Hotel Jardín del Mar has a café-bar with big screens. There is also a poolside snack bar. 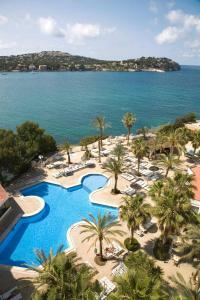 Leisure facilities include a fitness center and there is a seasonal indoor pool and a sauna, available for a surcharge. 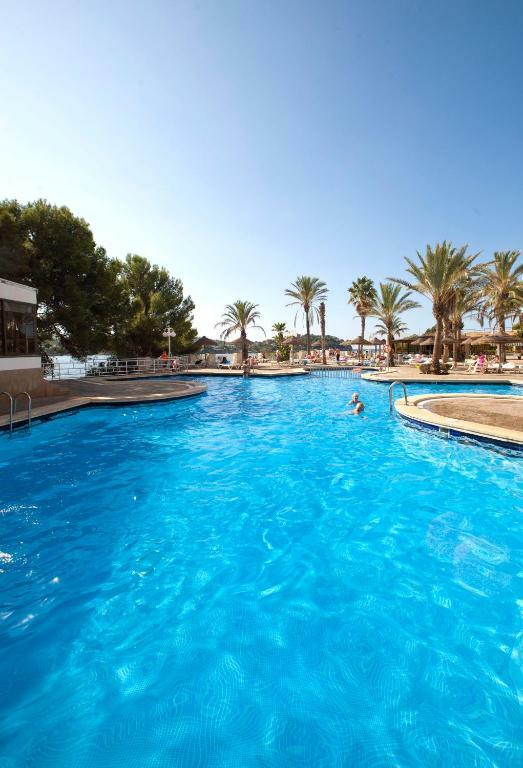 The lively resort of Magaluf is around 10 minutes’ drive from the Jardín del Mar. 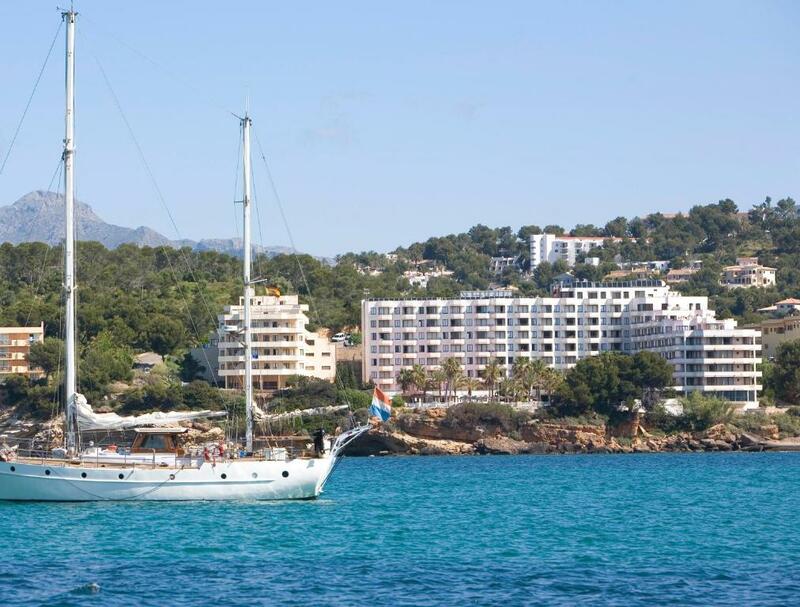 You can walk to Santa Ponsa Beach in around 5 minutes. 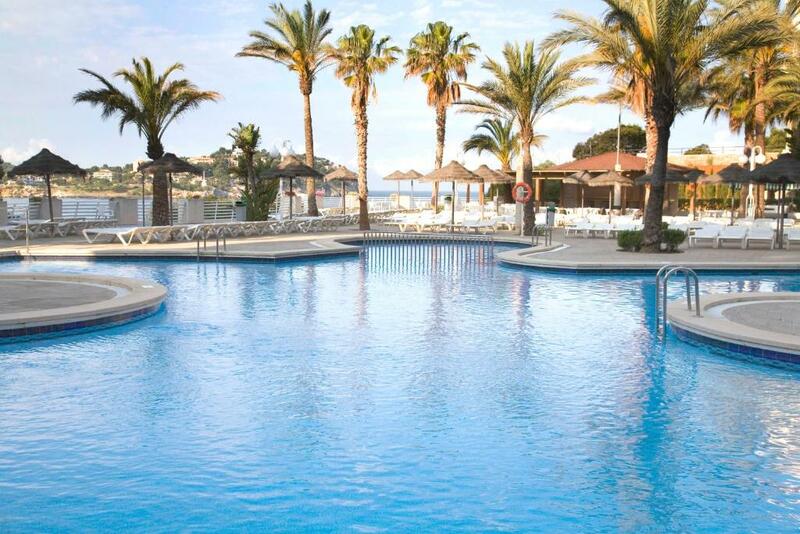 When would you like to stay at TRH Jardín Del Mar? This spacious, air-conditioned room features beach-style décor and a private balcony with sea views. The living room has a table and chairs, satellite TV and a kitchenette with a fridge. This spacious, air-conditioned room features beach-style décor and a private balcony. The living room has a table and chairs, satellite TV and a kitchenette with a fridge. Offering a balcony with side sea views, this air-conditioned apartment features 1 twin room, a seating area with sofa bed and TV and a private bathroom. There is also a fully equipped kitchen. Offering a balcony with side sea views, this air-conditioned apartment features 1 twin room, a seating area with a sofa bed and TV and a private bathroom. There is also a fully equipped kitchen. Offering a balcony with sea views, this air-conditioned apartment features 1 twin room, a seating area with sofa bed and TV and a private bathroom. There is also a fully equipped kitchen. 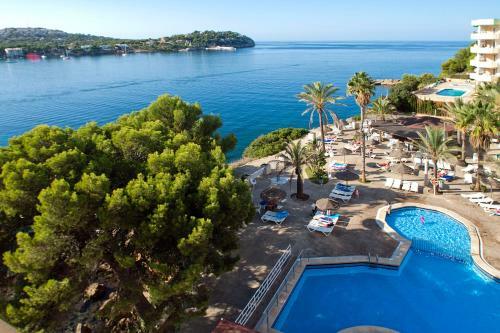 If you look an apartment in Mallorca, TRH Jardín del Mar Beach Hotel is the ideal option. Our apartments are fully equiped. And we have our buffe restaurant too. 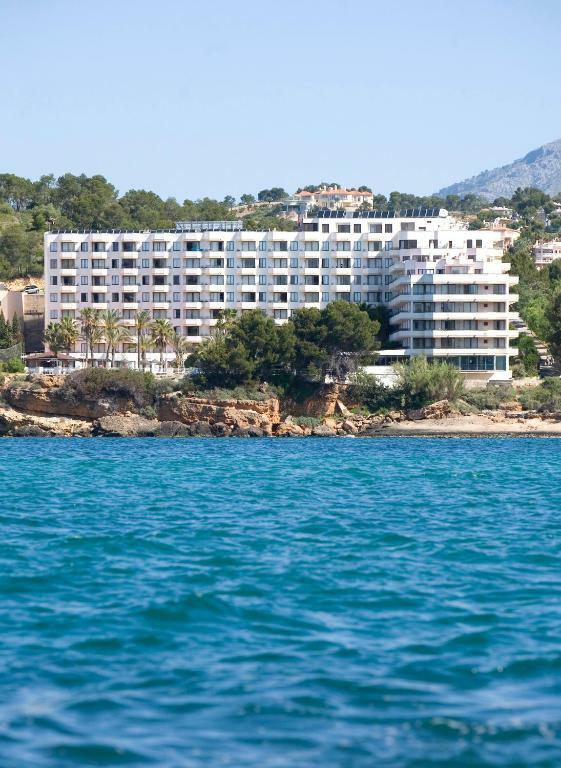 We have straight access to the beach and the city center is only 10 minutes walking. Enjoy our views, one of the things more appreciated for our guests. Our hotel is in a quiet area, full of markets to buy staff and restaurants. Also in "The Square" there is everyday different shows and performances till midnight to spend a good evening. ¡Don't come back home without watching the awesome sunset in Costa de la Calma! House Rules TRH Jardín Del Mar takes special requests – add in the next step! TRH Jardín Del Mar accepts these cards and reserves the right to temporarily hold an amount prior to arrival. Staff could have been a bit more helpful. "Gym" is more like one broken machine and a couple of yoga mats. Good for the price paid, but rooms in need of updating. Good location for main town. Friendly and knowledgeable staff. Lovely pool area. Beds were very old and uncomfortable. uncomfortable beds (very hard), saggy and tired sunbeds, rooms are dated, very noisy ground floor rooms, bar prices very expensive resulting in reduced numbers of customers and poor atmosphere. We enjoyed our stay at this hotel. We spent only two days there but it was a good starting point to discover the capital and the mountain area. The room really needs some update but we did not mind that little bit old style. The view is great, but it must be much better from the top floors. The staff is helpful, we need some help with the last day's breakfast because of the early leaving for the airport and they tried to do their best to selve our problem. The furniture have seen better days, but it's still great for the price. Parking was not very close, but we managed. A notice said that rooms wouldn’t be cleaned on 2 specific days we were there for five days but our room was cleaned once only. Overall the rooms were very tired looking and we didn’t feel they were as clean as we would have liked. The towels had a smell to them that wasn’t very pleasant and made the whole bathroom smell if the door was closed to. Room smelt damp! kitchen was non useable as it was flithy very noisy neighbours so got zero sleep. It is not super modern building or something so you can see that the furniture or appliances are not super new. Although it is not a problem. The kitchen equipment was not completely clean (or it didn't seem to be because it was old) and there is no sponge in the room to do it on your own. But since I was not preparing meals in the room it was not a problem. Rooms are rather dated but the price was excellent and so clean.